So, along with that invite to the VISA/FNB Bank Card Security Week intro, I also got another "Conference" invite this month (feeling very schleb!). The one I have most been looking forward to was today at the Focus Rooms for Girls in Information and Communication Technology. Again, it was quite a nice venue ... although I did have a little chuckle to myself when I noticed that they said "Conveniently located in the heart of Joburg’s business district" on their website ... and they're in Sunninghill :P Ah well, I suppose it is "broader Sandton". Back to the conference. It seemed a little overwhelming when I first walked in and there was one other person sitting in a sea of empty chairs. But it soon filled with the panelists, speakers and a few "journalists" (yes, that's what I got to play at today ... you'll soon realise the irony, I hope). And the rest of the seats were taken up by Grade 11 and 12 school girls from, I think, about 5 different schools (having not grown up in Joburg, I don't know which). Melanie Botha opened with the story of how she became a Girl in ICT. This was followed by an introduction to the 6 panelists: Pippa Tshabalala, Palesa Sibeko, Lebogang Madise, Ntokozo Ncongwane, Shana Kay and Tsoanelo Takaendesa. They told their stories. And now I'm inspired to share mine. Yes, I am a Girl in ICT. I am a Girl Coder. That's my day job. 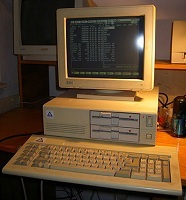 My dad bought our first family computer when I was 11, back in 1991. It had one of those small square monochrome monitors where the screen was only black with yellow text. I think it was a 386. We started out with 2 floppy disk drives and 2 stiffy disk drives. Now there are people who don't even know what those were. We used to boot up into DOS from a single floppy disk. I remember the days of zipping files up across multiple stiffy disks. The first computer game I played was Hangman. And, really that was about all we used the computer for, for a while. The Peeb loved the touch-typing games. I preferred Monty (it never looked that good on our screen) ... and Cal Games. When I was in Standard 7 (Grade 9, 1994), our school started offering Computer Science from Standard 8 to Matric (Grade 10 - 12). We could take an aptitude test about half way thru the year if we were interested. Dad said I should try and see if I could get in. I think he knew this was the way the world would be heading (I later discovered The Peeb and I had played with Punch Cards as kids, not knowing what they were, that were left over from a Computer course he had done). So I did the test and was one of maybe 5 girls who made it into the class for the following year. I learnt to think logically and programmatically at school using Turbo Pascal. My first email client was Pegasus. It was text based. We used to mail each other around the Computer Room because we didn't know anyone else with email. I used the Internet for the first time while on my Standard 9 (Grade 11) Job Shadow in 1996. I had no idea what to use it for. I looked up all the Calvin and Hobbes cartoons using Yahoo. There was no Google, there was no Wikipedia. I remember going to friend's houses (with the latest computer and latest games) to play things like King's Quest and Monkey Island. We played Duke Nukem (back when it was still in 2D) and mined spice, avoiding sandworms in Dune. And the very first Sim City. At some point, Dad had brought home a hard drive which had replaced one of the floppy drives. Exciting times. I think we ran Windows 3.1 on that. 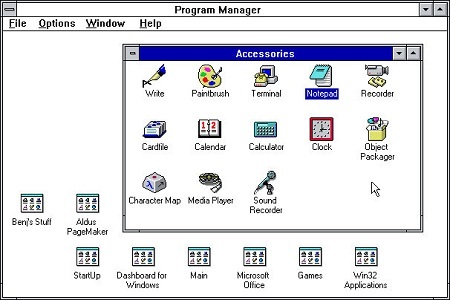 Windows looked very different back then and what a change from the text-based DOS. And then eventually, we upgraded to a Pentium with Windows 95. I went to study in the fascinating new field of Multimedia. I was one of very few people arriving with a Programming background, trying to learn the creative side. Mostly my course was filled with creatives who struggled to train their minds to think programatically. I learnt the relevant software, I still have a CD ROM of "latest versions" that has Photoshop 6, Dreamweaver 4 and Flash 5. I dabbled with the social networking of the time ... I couldn't get into IRC, I tried ICQ. Talking to and meeting random strangers was never my strong suit (till Twitter). I loved Multimedia and Macromedia Director was my favourite. I dreamt of being a CD ROM developer. Remember the days of Enhanced CDs by bands? I worked for about a year in the design industry when I decided to head back to college and get back to my programming roots. My friends at the time were all learning a little programming as part of their Business degrees and I was feeling left out and I knew I could be better than them at it. I studied C, C++ and Java. I have never looked back. Take heart tho, I never ever liked the hardware side of IT. 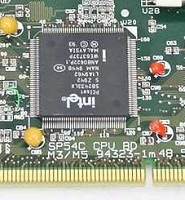 Give me a working computer, don't ask me how much RAM there is or what my CPU is. I have no idea. I like to say I'm the Least Geeky Programmer I know. Boys all seem to love the technical hardware type stuff. If you don't, please hear me, that does NOT mean that you don't have a future in the IT industry. I used to make my instructors laugh as I preferred to describe the memory board as a little town, with green grass, gold roads and little buildings. I've worked solidly as a Java Developer since 2002. I don't sit in a dark room with only one window for light. I currently get to work on building the back end of large corporate websites and campaigns. I've never had another Girl Programmer in my team (except as HTML coders). There is, without a doubt, space in this industry for you! Some of this brought back a lot of memories...a time before google...IRC. I used to spend daaaaays chatting to strangers on there! The first thing that popped into my head was a/s/l hahaha!